Two employees in Kwantlen Polytechnic University’s Marketing and Communications Department, Leland Dieno and Whitney Sharp, want to bring the KPU community a little closer together by highlighting the experiences of those who work and go to school here. To that end, they launched the Humans of KPU campaign in September of last year, based on Brandon Stanton’s “Humans of New York” photoblog. Sharp says that the university previously collected testimonials from students, alumni, and faculty which were more oriented towards programs and courses at KPU. She and Dieno decided to expand their storytelling to encompass the “broader KPU community,” focusing instead on human interest stories, accomplishments, and inspiring anecdotes. “We have a community here full of those great stories that deserve to be heard,” says Sharp. 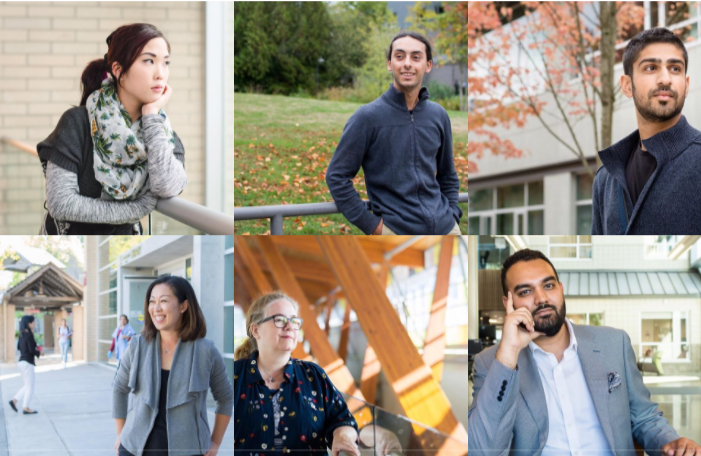 These stories and photos are initially posted to Instagram and then shared on Twitter, Facebook, and the university’s Humans of KPU webpage. KPU has also began promoting the participants’ profiles through digital displays located across all four campuses, thereby increasing the number of students and faculty who will view a single story. Sharp says that Humans of KPU posts receive some of the highest community engagement of all of the social media content from the university. Despite this, Dieno says that the campaign isn’t tailored to advertise KPU itself, but instead celebrate the people at the university. There is no financial marketing used for the campaign, as current forms of advertising are used to promote it at no extra cost to the university. Recently, there has been an increase in the Humans of KPU advertisements present on campus, which Dieno says is an attempt to create a dialogue among students and show them that there is a channel available for easily sharing their stories. The campaign has also gained momentum by word of mouth. Following an interview, the newly designated “human” of KPU will often refer the campaign to friends or peers who they think would make suitable interview subjects. To nominate yourself or someone you know for a Humans of KPU feature, visit KPU.ca/humans.